characters ever created to life. 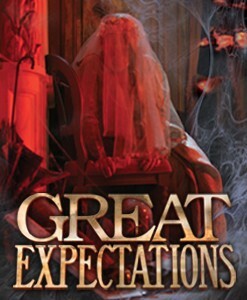 Miss Havisham and Pip with his ‘great expectations’. Paul Nivison as Adult Pip, and Paula Wilcox as Miss Havisham. promises an epic theatre experience for audiences of all ages. entertaining telling of Dicken’s universally loved masterpiece.